For a couple who are madly in love with each other, an engagement ring is the next step that solidifies their love and devotion. It signifies the promise they’ve made that they will always be there to support, honor, and love each other for the rest of their lives no matter what obstacles may come their way. 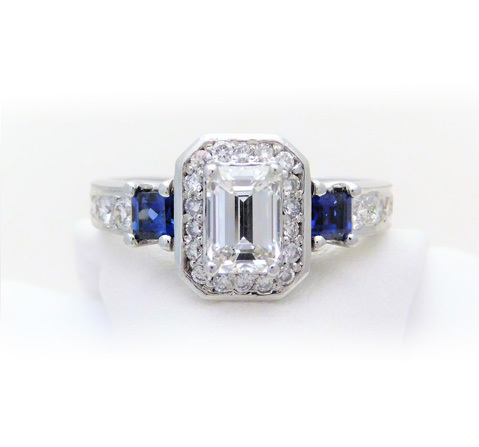 At Edberg Jewelry, we pride ourselves on successfully matching couples with their perfect engagement rings. We spend the time with our customers to get to know them, their partners, their needs, and their personalities. Choosing an engagement ring to match one’s character and personality type isn’t always an easy task. That’s why we make it our duty to ensure the engagement ring selected is the best choice possible. 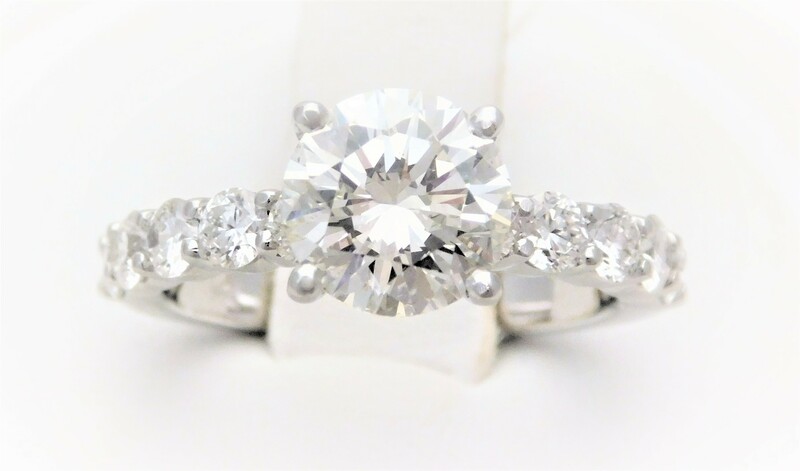 All of our engagement rings are custom-made and not manufactured, which allows us to handpick the perfect diamonds and jewels to fit seamlessly into the mounting. 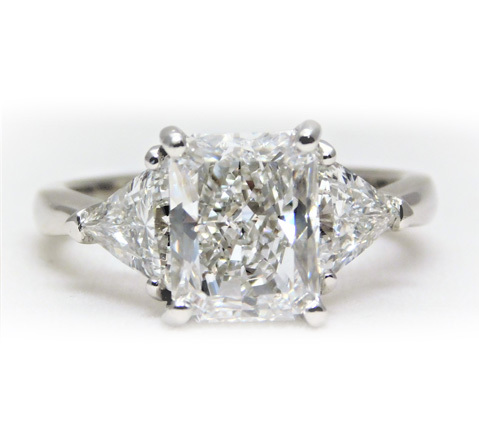 It’s extremely important to us that we carefully match the diamonds in the mounting with the same color and clarity as the diamond chosen for your center stone. One slight error can throw off the whole aesthetic of an engagement ring, which is why we believe our custom-made mountings always make for a more reliable and nicer looking finished product. The process for creating the mounting you want is simple. Email us a picture of the mounting, whether it be a picture from the internet, your phone, or even a magazine. If you can’t seem to find one that suits you, don’t panic! We have hundreds of designs in-store for you to choose from, or at least help give you a clearer idea of the kind you want. 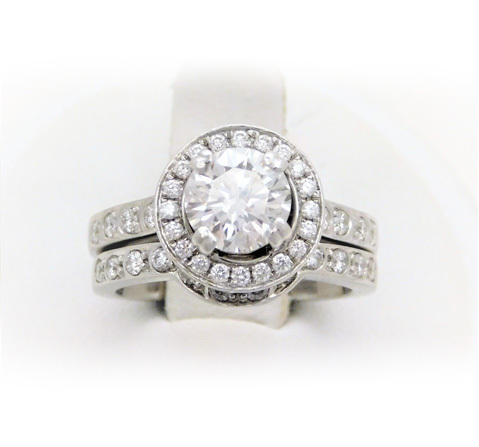 The best part, our custom-made mountings will usually cost only one-half the price quoted by a retail jeweler. An engagement ring is so much more than a pretty piece of jewelry. It represents the idea that two people have just promised to embark on life’s journey together. It’s beautiful, moving, and above all, it proves that two people can become one soul. 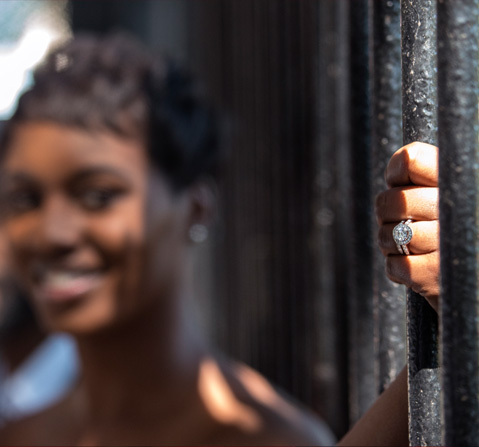 We promise to dedicate ourselves to making the best engagement rings possible just as you promise to dedicate yourselves to each other forever.